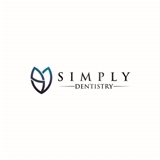 Simply Dentistry (San Bruno) - Book Appointment Online! The Simply Dentistry team is committed to providing you personalized, gentle and friendly care to help manage your individual dental needs. We treat people, not just teeth. Everybody has a story and we're here to listen. We value your trust and constantly aim to provide you the most relaxing dental experience possible. With modern technology, a beautiful and convenient office, and a great team, we are eager to meet you so that we can build your next dental home. Dr. Lee is very personable and makes an effort to get to know his patients. He clearly explains his treatment plan and makes sure you feel comfortable understand his recommendations. Dr. Lee is very professional and I feel very confident with him looking out for the health of my teeth. I highly recommend him to all.